Our friendly graphic design staff will design your printing job to your specification. Your job will not go to press until you give the final approval. You can also send us files you have created. Or maybe you just want to email your logo for us to place in a document. That is no problem for our highly qualified Design personnel. We can work with many types of files, so don't wait, send your file today. Multi-part business forms are convenient for many projects. 2, 3, 4 and 5 part forms are available. Business forms come in a variety of standard sizes. Your forms can be numbered, perforated, 2 or 3 hole drilled and wrapped to specification. Or you can choose to have your forms stapled or bound in book form. Let us know what you need and we’ll do the bindery for you or make recommendations that will best suit your particular project. There are many standard ink colors to choose from or we can mix a specialty ink from our PMS (Pantone Matching System) chart. Top quality envelopes express your company’s image. With a variety of styles and sizes to choose from, we have the envelope your business needs. If you have a special window, that is not a problem. Just call for a quote. It’s that easy and you’ll love the price. If you hate to "lick" those envelopes Self Seal Envelopes are available too. Our software compatible CheckMate laser checks provide you with all the security you need in a laser check. Our CheckMate checks offer 10 security features to help prevent document fraud and our checks are compatibile with today's most popular software packages including Quickbooks, Quicken, Peachtree and others. Because your Company’s image is everything, don’t settle for the ordinary when choosing paper, ink colors and typestyles for your stationary. With a variety of papers, inks and fonts, together we’ll achieve the professional look you desire. 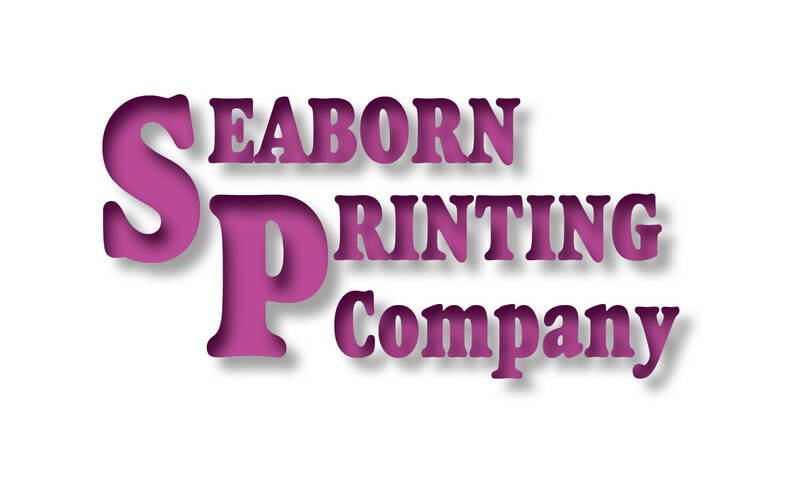 We offer flat or thermographic (raised) printing. Make a bold statement in your field of expertise with a 1, 2 or full color brochure or magazine. With the help of our graphics department, you’ll get a brochure or small magazine that is sure to make a quality statement about your company. All sizes and designs are available. Why wait? Let’s get started now. Weatherproof and all types of special application labels available. Custom and special application labels at great prices available for your business . Getting Married? Find the perfect invitation on our Wedding Site. We also offer a full line of Christmas Cards for personal and business needs. We have something for everyone. Special Items to promote your business. Caps, Cups, shirts, pens, pencils and more. Need something not listed? Call or email us for a fast quote.